Cheese Club is how you can sample the cheeses of and support the launch of Staunton’s first artisan cheese manufacturer. Your monthly commitment (~$60 / month or $15/week) gives you a weekly share of familiar and unfamiliar value-added dairy products. A cheese you love might become a permanent offering of the Creamery. Others will be a fleeting moment of flavor. 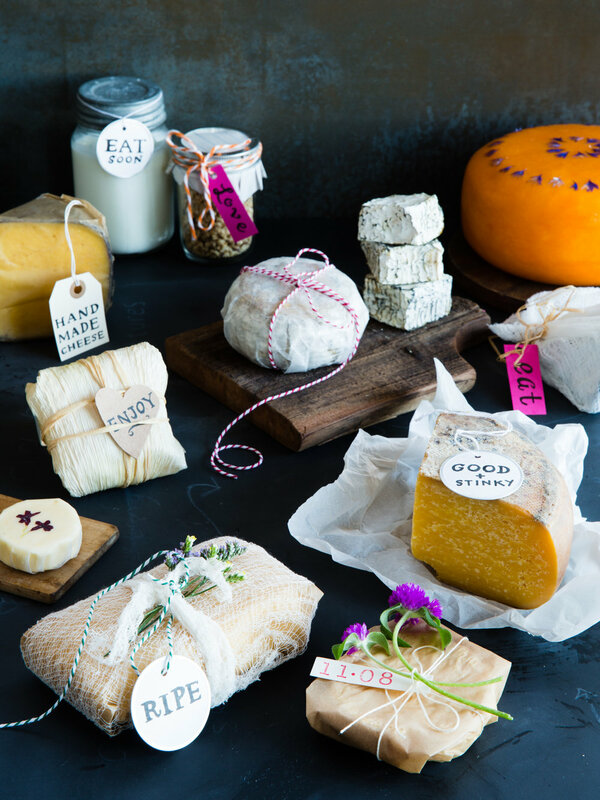 While Cheese Club mainly features a selection of fresh cheeses, you will also find aged offerings, such as camembert, cheddar and blue cheese every several weeks. As a founding member of Cheese Club, you become part of our Creamery as well as part of the solution to an imbalanced dairy system. Cheese Club will begin in May 2019—or whenever you would like to begin. Membership can be ongoing, month-by-month or linked with an existing CSA schedule (such as Project Grows or Little Hat Creek Farm). Treat yourself to Cheese Club or give it as a gift to a cheese-loving friend. (We don’t ship at the moment so it has to be a local friend). Shares can be picked up at the following locations or delivered to a Staunton address ($5 delivery fee). Please fill out the contact info below and we’ll be in touch with more information.